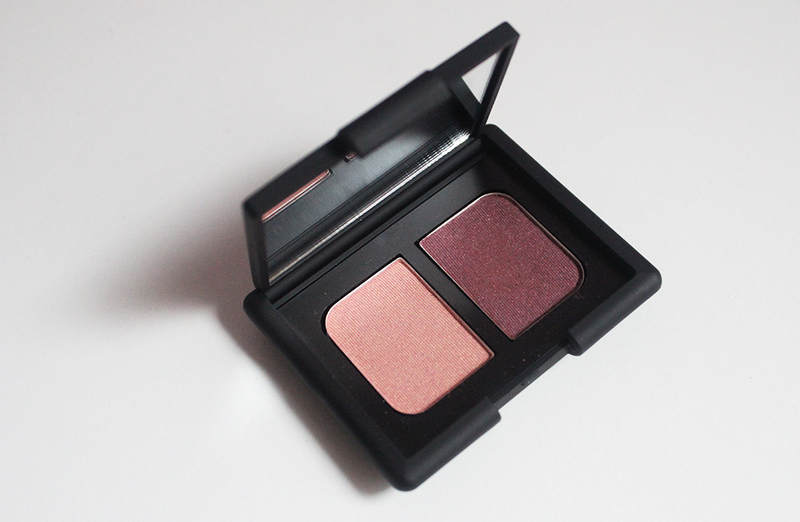 I wanted very much to love this eyeshadow duo. If you saw my Barneys haul when I bought this eyeshadow, you'll know that I lusted after it for many years because of the name. For those of you who might not know, Kuala Lumpur is the capital city of Malaysia, the country where my parents are from. I love it when beauty product shades are named after places and especially ones that are important in my life. The shades in this duo look really promising in the pan as well. They're on the warmer neutral side of the spectrum and I could imagine myself wearing these regularly. The setup of the duo reminded me of the Clinique Duo in Strawberry Fudge which I got as a free GWP years back. But I like the texture of the Clinique shadows better and the shades are more complex and less glittery compared to Nars' Kuala Lumpur. The swatch above looks decent but when you use a brush and apply the shadows to your lid, they fade into a sheer wash of shimmer. The rose gold is difficult to build up so it ends up looking rather yellow on my eyelids and the burgundy has chunks of shimmer and the base color doesn't adhere well to the skin. Even with an eyeshadow primer and cream shadow base these colors do not show up well. For $35 I expected way better quality. 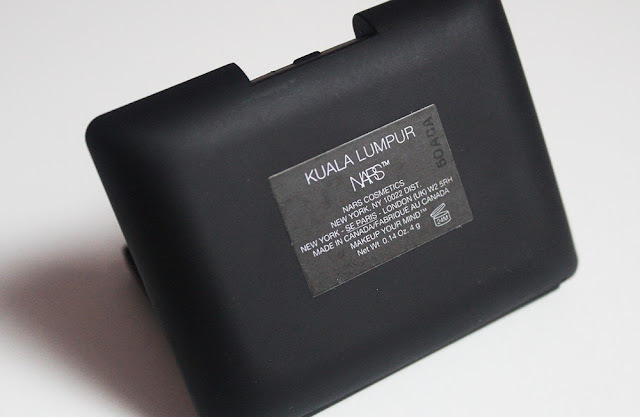 I really like Nars' Eyeshadow Duo in Kalahari so I had high hopes for Kuala Lumpur. Unfortunately that just isn't the case. For what it's worth I am keeping Nars Kuala Lumpur in my stash. 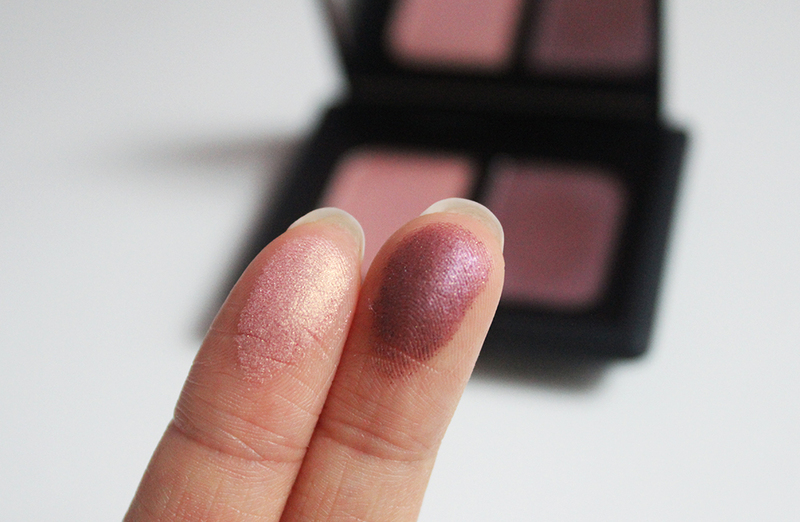 If I am very careful to not blend much at all, the colors should be able to last on top of a pigmented cream shadow. Don't make the mistake I made. Skip Kuala Lumpur and seek out Kalahari instead.